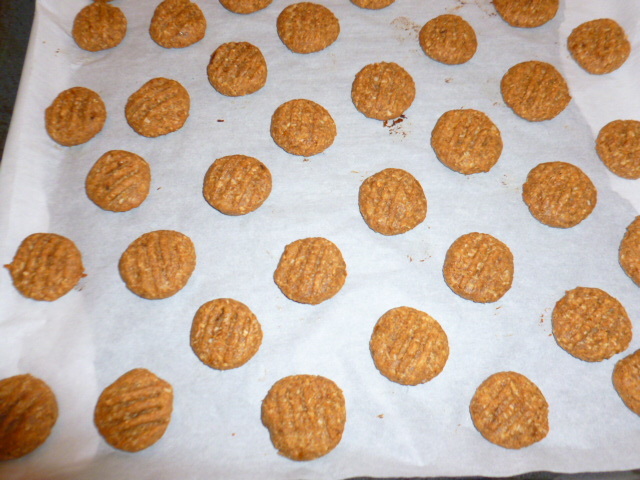 * Unsweetened, all-natural peanut butter has a fairly coarse texture, which is perfect for these cookies. I’m not sure how well the recipe will work with creamy/sweeter types of peanut butter, and can only assume it will. 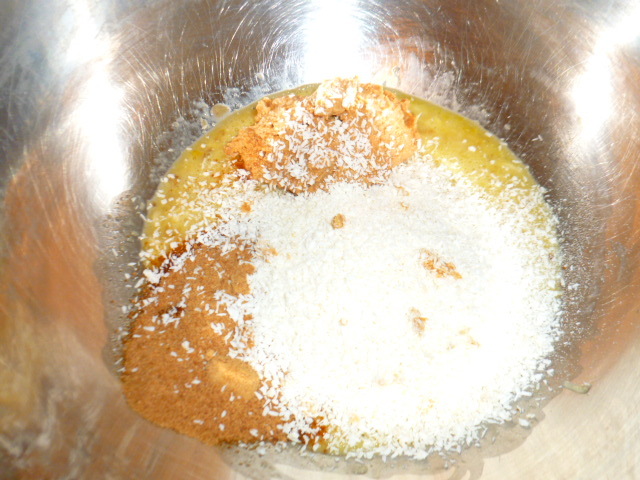 * I used coconut palm sugar here, as I was curious about this type of sugar, which is new to me. It worked quite well and the result was not too sweet, as I usually prefer. Yet, another batch, made with soft brown sugar, turned out to be quite similar, so feel free to substitute if you don’t have coconut sugar. * If you prefer sweeter cookies, you can increase the amount to ¾-1 cup. 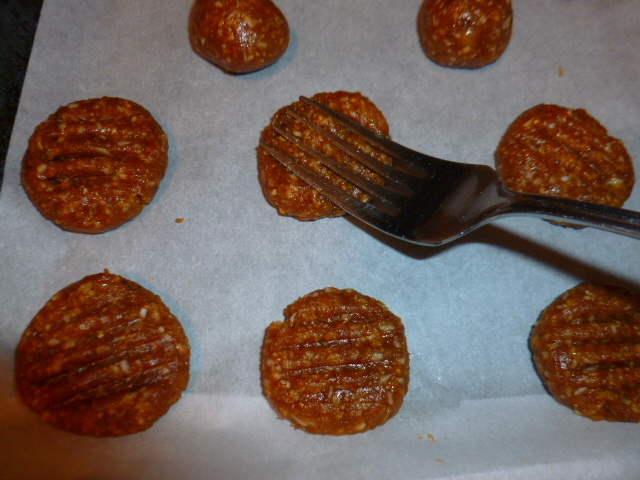 * Freezing: place the tray with the cookies in the freezer and let them freeze before storing in an airtight container. This way they will not stick together. 1. Preheat the oven to 335F (170C). Line a cookie sheet with baking paper. 2. 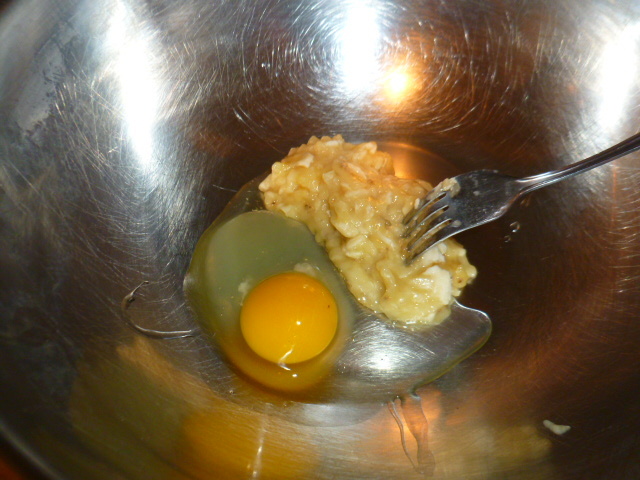 In a large bowl, mix the egg and banana. 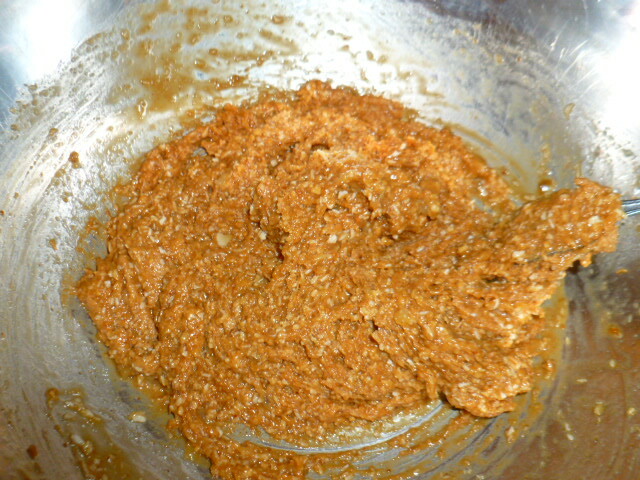 Add the peanut butter, coconut, sugar, salt, vanilla and cardamom and mix well. The dough will be quite sticky. 3. 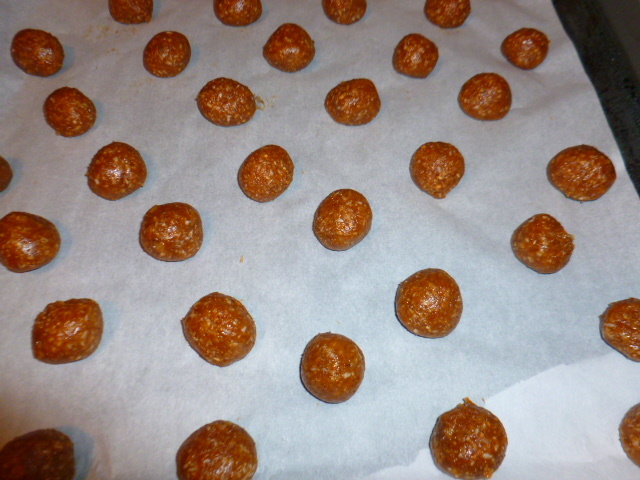 With slightly wet hands, roll the dough into about 40 small balls and place in the pan. 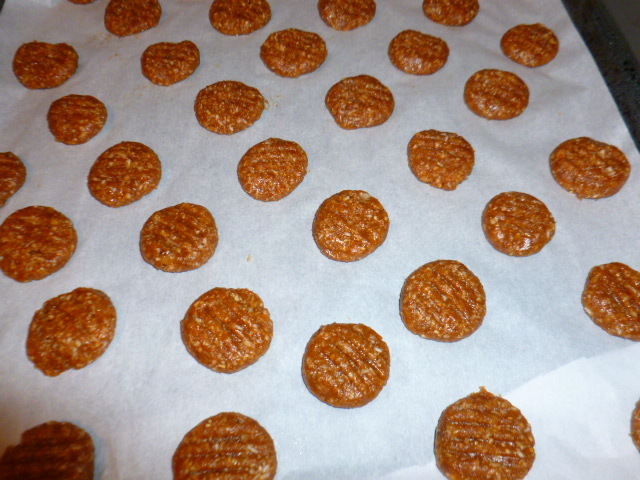 Press the top with a fork, to flatten the cookies and create a pattern. 4. Bake for 14 minutes, or until the top is firm and the bottom is golden. Let cool to room temperature in the pan. 5. 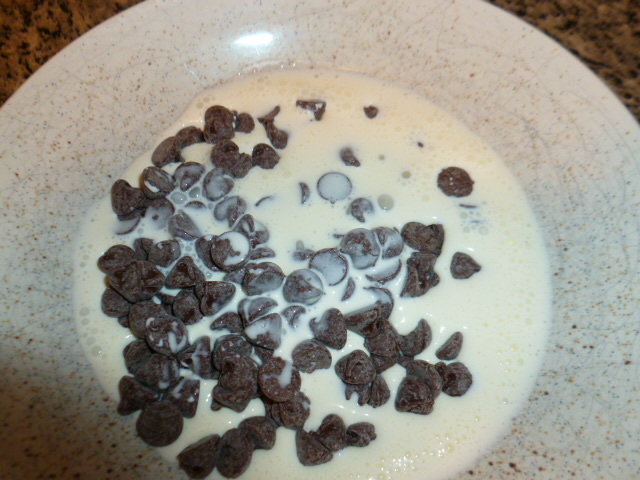 The chocolate drizzle: place the chocolate chips in a bowl. Heat the heavy cream to almost boil, and pour over the chocolate. Let stand for 1-2 minutes and then stir well, until the chocolate melts. 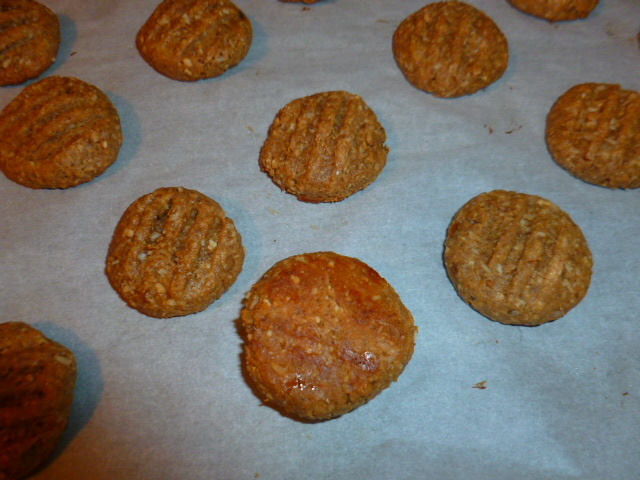 Drizzle over the cooled cookies. Let set before serving. Great minds think alike! I just posted flourless bread. Will try this one of yours thanks. I’ve never really made cookies from scratch before. I’d love to give it a whirl. Goodness me! This must be heaven!! 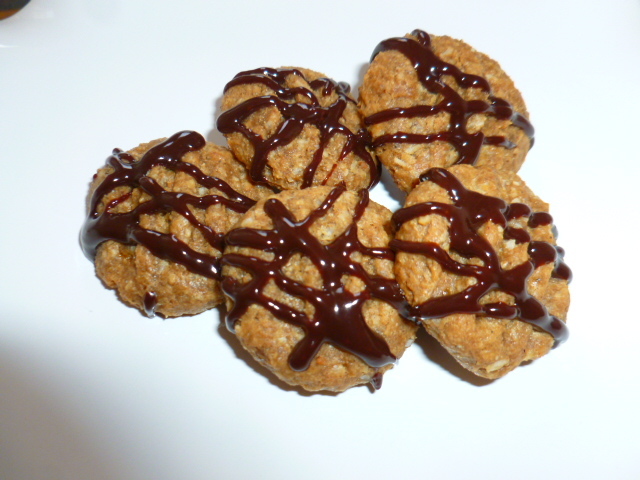 Have always found chocolate drizzling or chocolate dunking to be a saviour for otherwise boring cookies. However, these looked pretty good from the beginning. Yum! These look good and they look like they pack a punch. 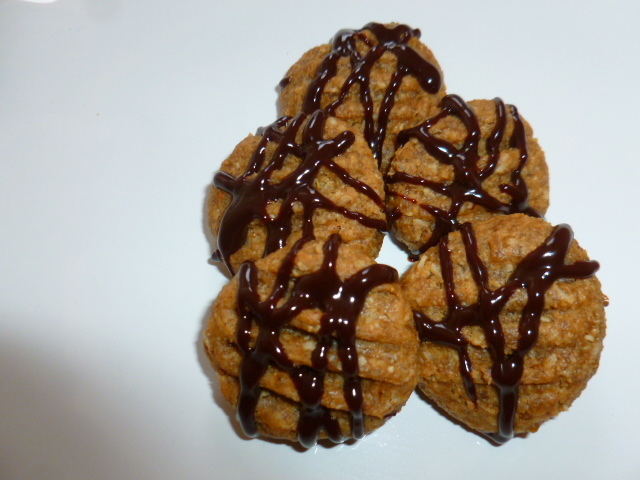 Good energy cookies! I’m glad you tried again. Yum. Chocolate drizzle on mine please. It’s a new trend now – everything comes from coconut – flour, sugar and what not… I was curious about it – it has a nice, caramel-like flavor, and I guess it’s the best when it comes to dishes from places where this is the main sugar source, but I can’t say it’s worth the higher price. The claim is that it’s healthier, but I don’t believe there is that much difference when it comes to different types of sugar. I bet the cardamon added a nice flavor to your cookies. Good for you for experimenting…they sound great. Would this work with almond or another nut butter? Yum! I would go with the cardamom! They are pretty with the chocolate drizzle.